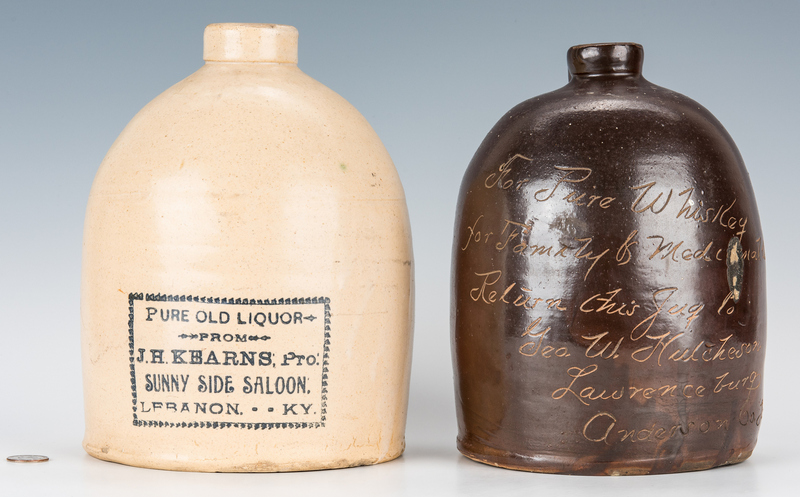 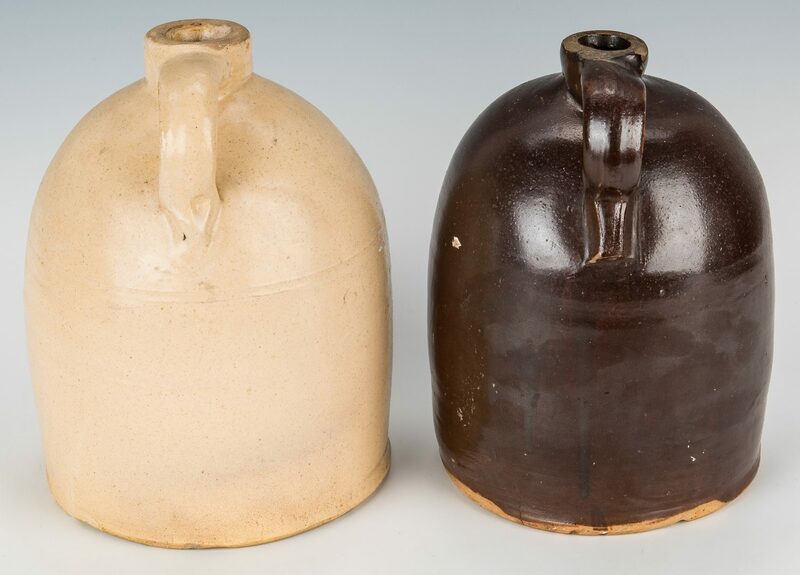 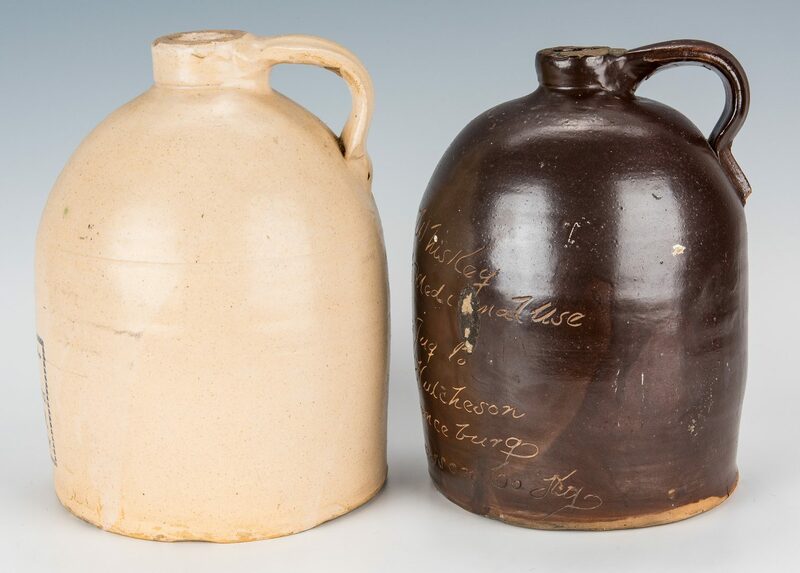 Two (2) Kentucky Stoneware Whiskey Advertising Jugs. 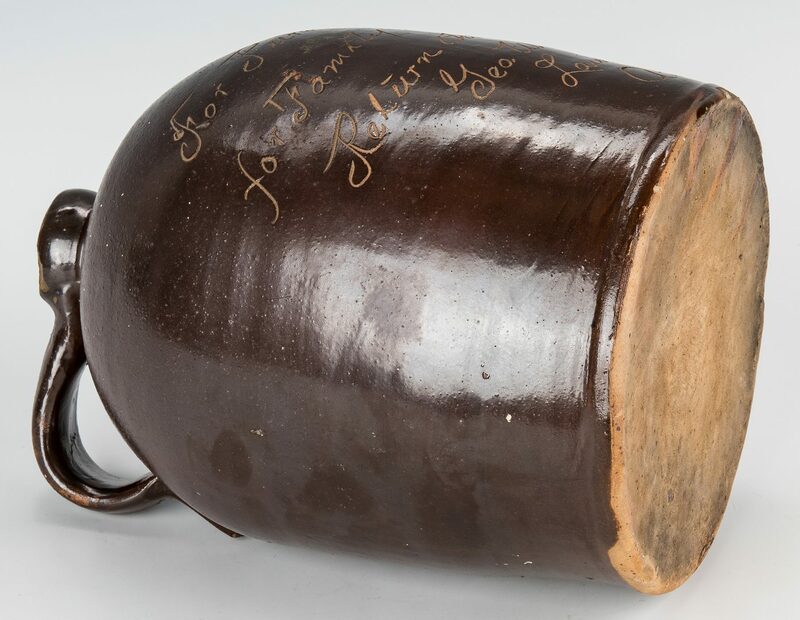 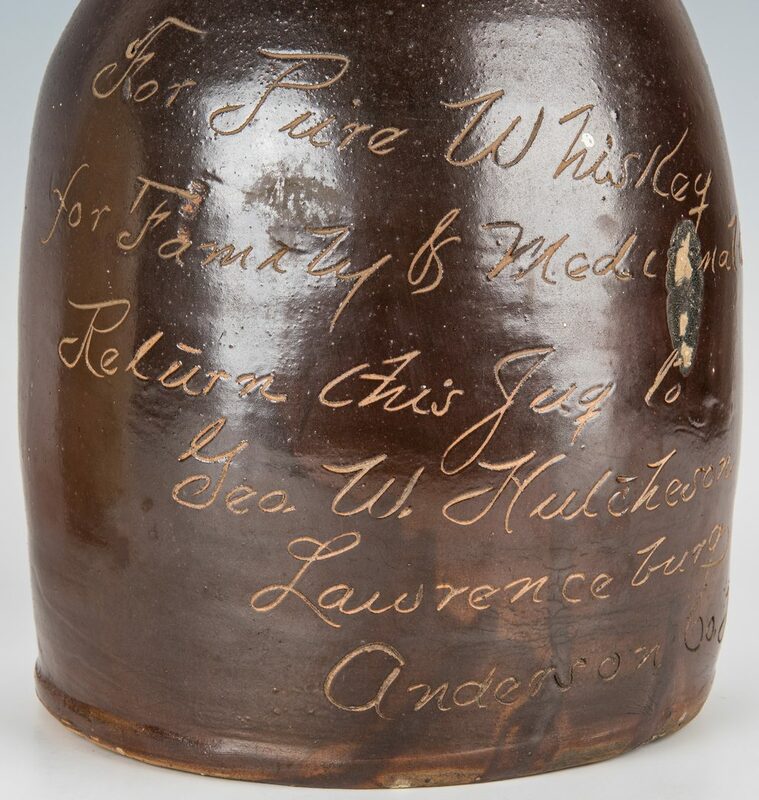 1st item: Kentucky advertising whiskey jug by George W. Hutcheson, with dark brown slip glaze and incised inscription reading "For Pure Whiskey/for Family & Medicinal Use/Return this Jug to/Geo. 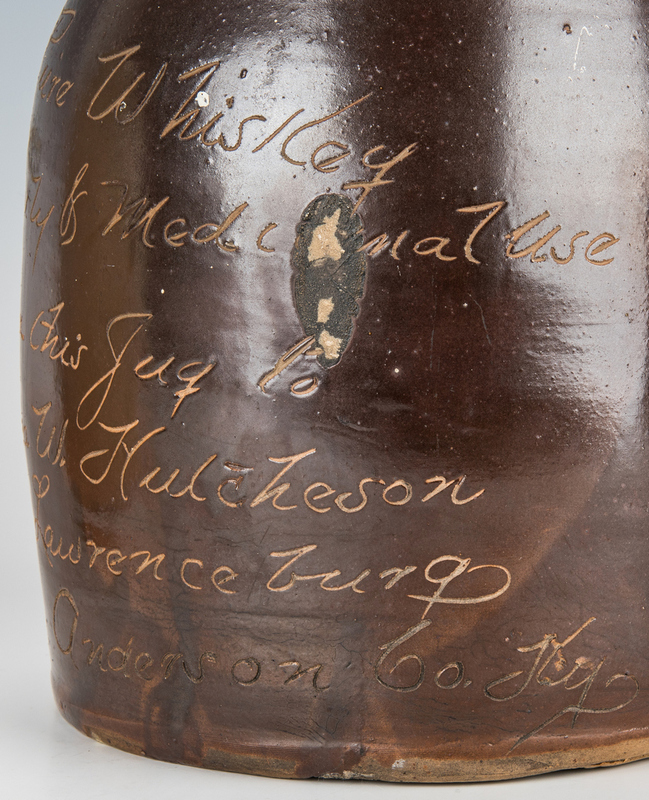 W. Hutcheson/Lawrenceburg, Anderson Co. KY". 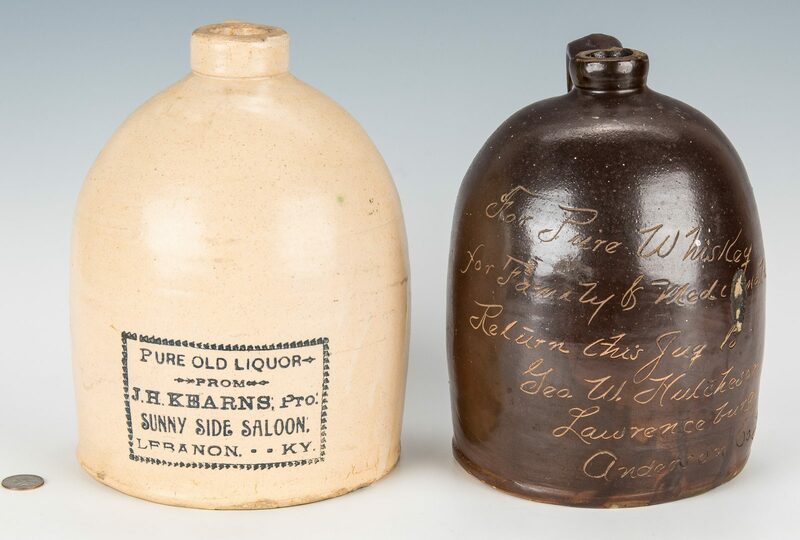 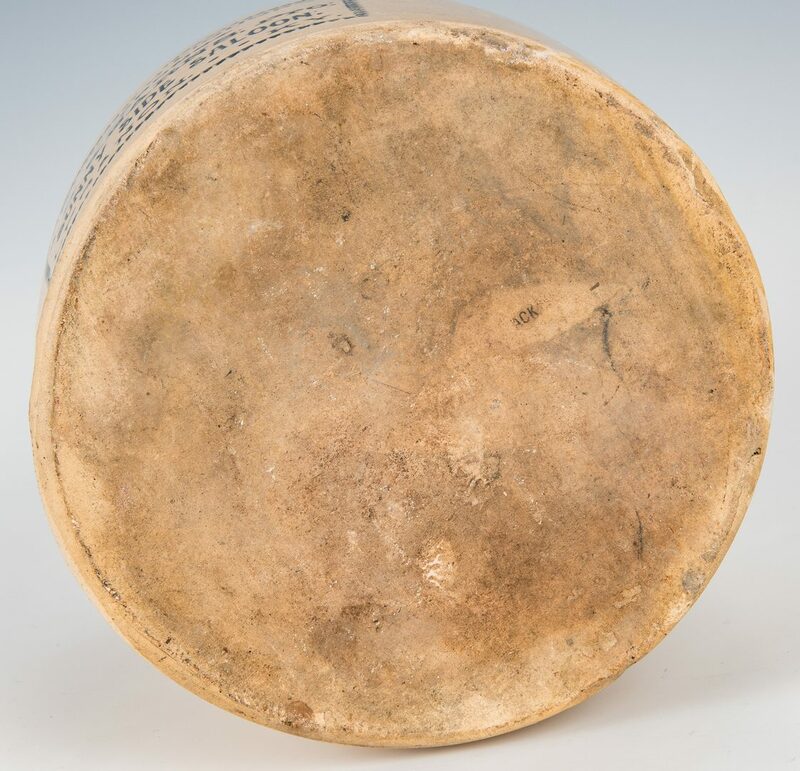 9 7/8" H. 2nd item: Lebanon, Kentucky J. H. Kearns whiskey, Sunny Side Saloon stoneware pottery jug with cream slip and cobalt stencil reading "Pure Old Liquor from/J. 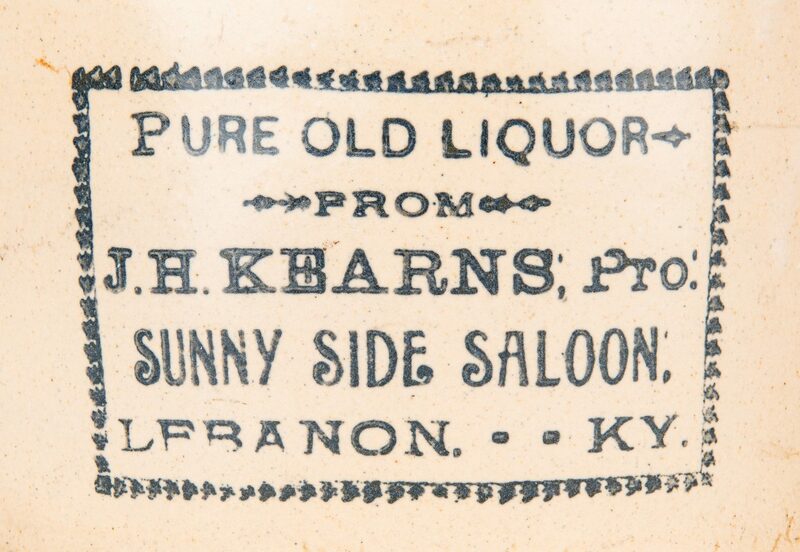 H. Kearns, Pro./Sunny Side Saloon/Lebanon, KY". 10 1/4" H. Both items early 20th century. 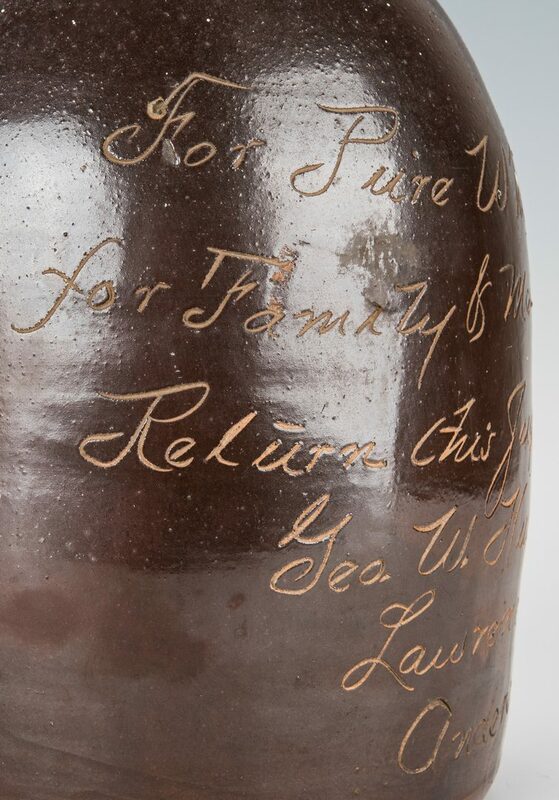 Provenance: Brad Swanson Collection, Abingdon, VA. Alternate spelling: Hutchenson. 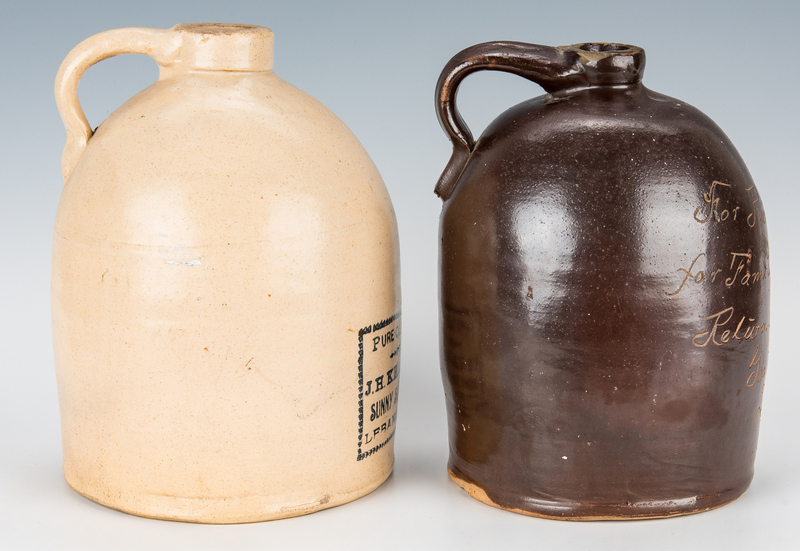 CONDITION: 1st item: Chip to spout and glaze exfoliation. 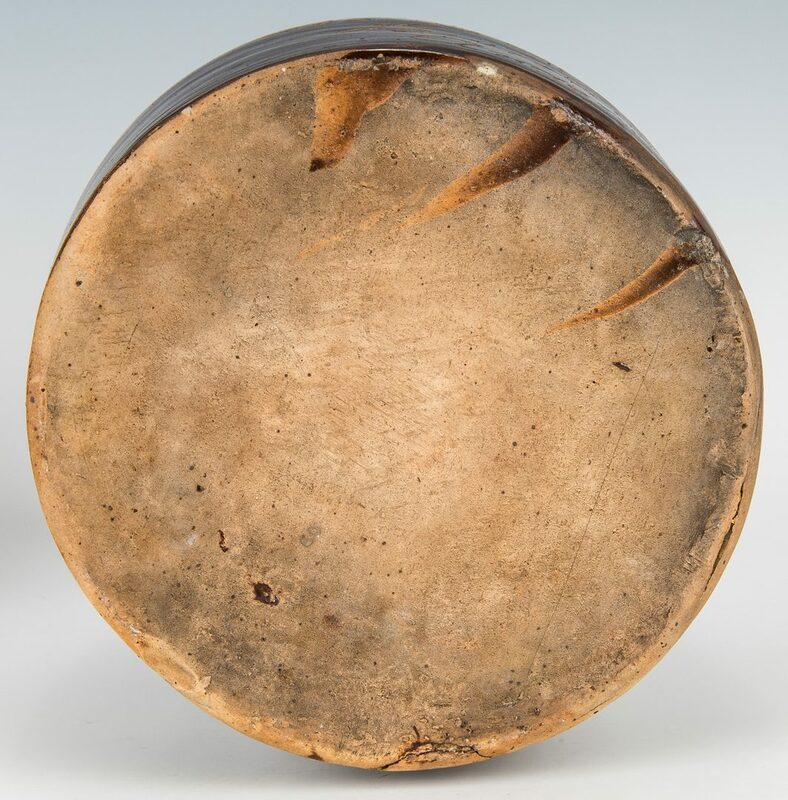 Firing flaws to body. 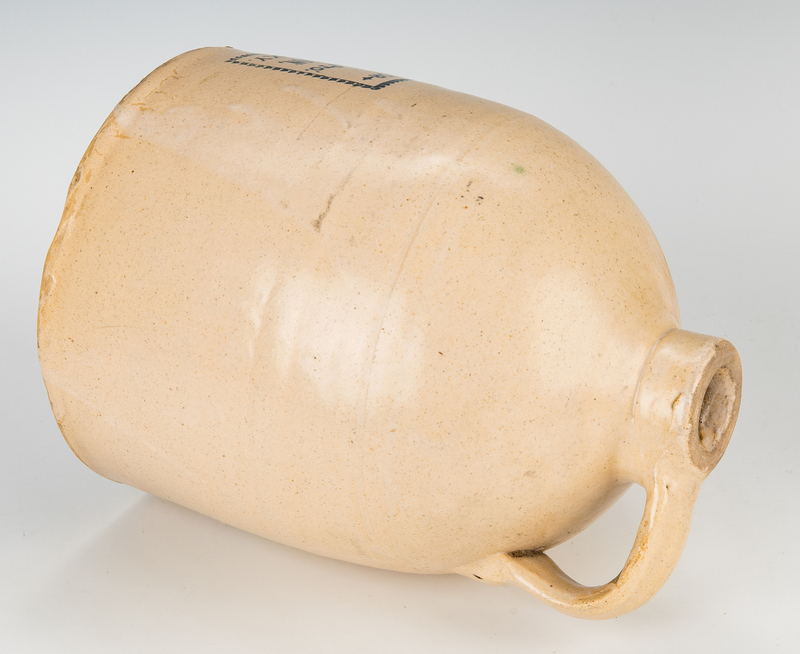 2nd item: Glaze exfoliation to the spout, overall very good condition.